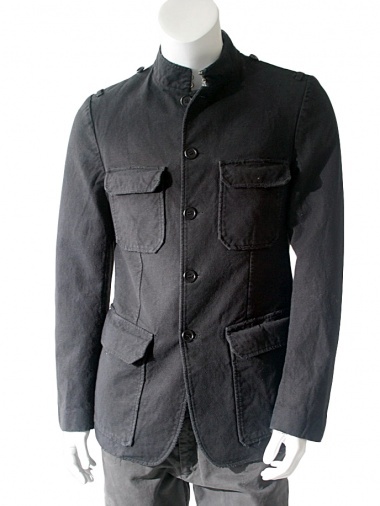 Jacket with big pockets 100% Cotton by Jan & Carlos - Clothing Men Jackets On Sale. Jacket in heavy cotton. Patch pockets and Korean neckline with hooks, slit back.